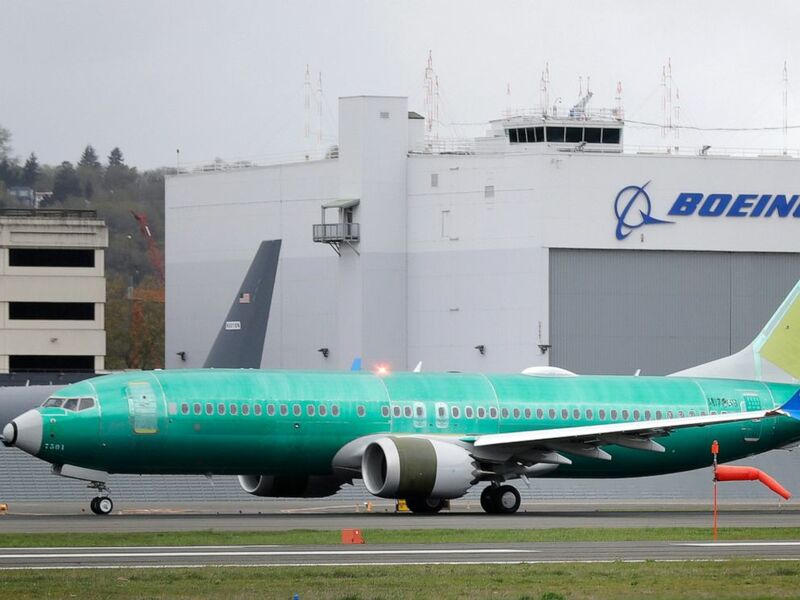 A Boeing 737 MAX 8 airplane being built for Spain-based Air Europa rolls toward takeoff before a test flight, Wednesday, April 10, 2019, at Boeing Field in Seattle. 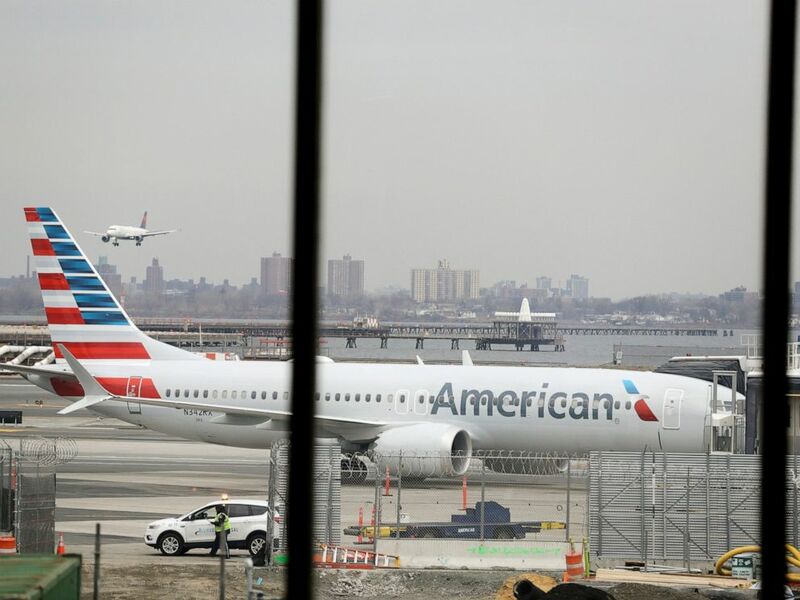 In a March 13, 2019 file photo, an American Airlines Boeing 737 MAX 8 sits at a boarding gate at LaGuardia Airport in New York. 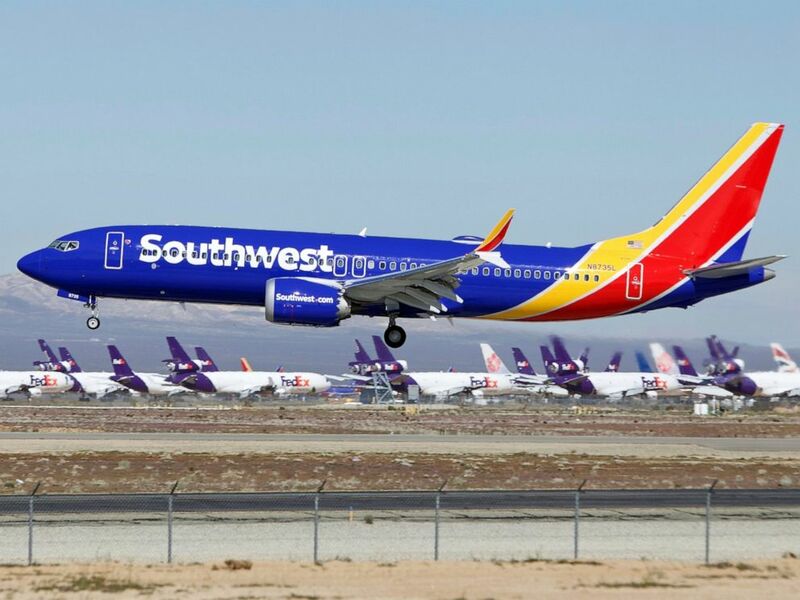 In this March 23, 2019 file photo a Southwest Airlines Boeing 737 Max aircraft lands at the Southern California Logistics Airport in the high desert town of Victorville, Calif.